Anyone questioning whether Hillary Clinton (age 68 ), Bernie Sanders (age 74 ), Donald Trump (age 69 ), John Kasich (age 63) or Marco Rubio (age 44), is NOT qualified to be in the running to be the next President of the United States – and “leader of the free world” – because of their age? Nope. Are people less inclined to listen to, or respect the wisdom of, Bill Gates (age 60), Charlotte Beers (age 80), Seth Godin (age 55), Warren Buffet (age 85) or Associate Justice Ruth Bader Ginsberg (age 83) simply because of their birth year. No again. And that’s a good thing. Which is why I looked forward with much anticipation to reading Sarah Kessler’s Tech’s Big Gender Diversity Push article in FastCompany. Even if the actual numbers are not moving as fast as we’d like them to, this kind of article keeps the subject mainstream, and hopefully will effect change in more tech companies – i.e., more women, in this traditionally male-dominated industry, will get hired. But there is one particular issue that is not addressed in typical gender or diversity articles, and that’s the issue of AGE. As a tech startup founder “of a certain age” (50+), I was always one of the oldest people and one of the few women in the pitch room. After not being able to get funding for womencentric – just 3% of women in tech get funding that is even close to what their male counterparts would get for similar new businesses – it’s been frustrating to see the dearth of more seasoned people in pretty much any startup – from relative newcomer UBER, for example, to more established firms like Warby Parker. At least that’s what one is lead to believe by the staff images these companies choose to show on their career pages – which consistently portray 20- to 30-somethings having fun, feeling fulfilled, looking energized, being appreciated, etc. , etc. The 800 pound Gorilla in the room – a true mix, comprised of younger and more mature workers, more equal representation of women, plus people of different ethnic, racial and LGBT backgrounds – create amazingly productive environments. Diverse, age-blended teams, and the company, benefit – because this arrangement fosters high-performance, creativity, innovation and progress. I can tell you from experience that ageism is rampant, and many super talented, smart, innovative people are languishing in sub par jobs because their resume goes to the “round file” for gender and/or age bias reasons. I’m tired of thinking that someone may not give my resume a second glance JUST because of my age. I’m so done with feeling like I have to gloss over my kids’ ages, because whoever I’m speaking with will do some “mental math”, and start looking at me differently because they figured out my age. It’s time for companies of every size, and people in general, to value expertise – because acumen is ageless. The Data on Diversity, written by Beryl Nelson on Communications of the ACM, has some interesting and very positive stats – on the benefits of diverse / mixed ethnic, gender and aged teams. Seems like it should be a common sense fact – real-life learning over the course of many experiences and years – results in a different kind of wisdom, not associated with book learning. And yes, other perks like big-picture, connect-the-dot thinking, understanding of processes, etc., come with age. Change agents of many different ages, in a balanced team of genders, races, religions, etc., creates a potent braintrust. Some of the most interesting, articulate, smart-as-a-whip “seasoned folks” I’ve interviewed include: Jeffrey Hayzlett, the former CMO of Kodack and Charlotte Beers (as mentioned above), the first woman CEO of Ogilvy & Mather, and a master communicator. I could listen to BJ Fogg, Seth Godin and Sally Falkow all day long for weeks and still know a smidge of what they do. Many other lesser known, super-experienced, entrepreneurially-wired folks like myself – as well as scads of people I’ve met over the past 15+ years as a marketing agency and startup founder, freelance writer, workshop presenter, speaker, and job seeker – are routinely being passed by due to their AGE. 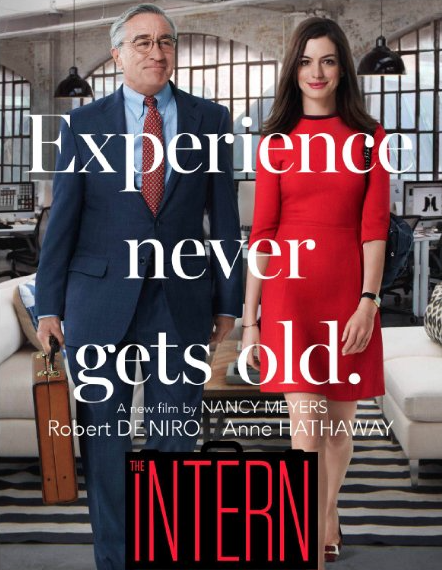 Amazingly, even Hollywood has weighed in, in an off-handed way, about the positive effect and contributions of mature workers, with Robert DeNiro’s performance in The Intern. (He should have been promoted to COO). In real life: there are millions of hip, smart, energetic, passionate, collaborative “more mature’ workers ages 40- 65+ and above in the workforce. According to a Pew Research study, an even older American workforce is on the rise. What’s your take on this? I’d like to see an end to age bias. We’ll all reap the benefits of more real-life scenarios of experienced staff working productively alongside the 20- and 30-somethings in every industry.